I’m so sorry that it has been over a week since my last post! I think I almost burned myself out of cooking for a while due to the week of arctic weather we had here in Texas! I cooked every single day since I couldn’t leave my house, so when we finally got some warm weather, I was outside running, washing cars, and NOT staying inside the house! 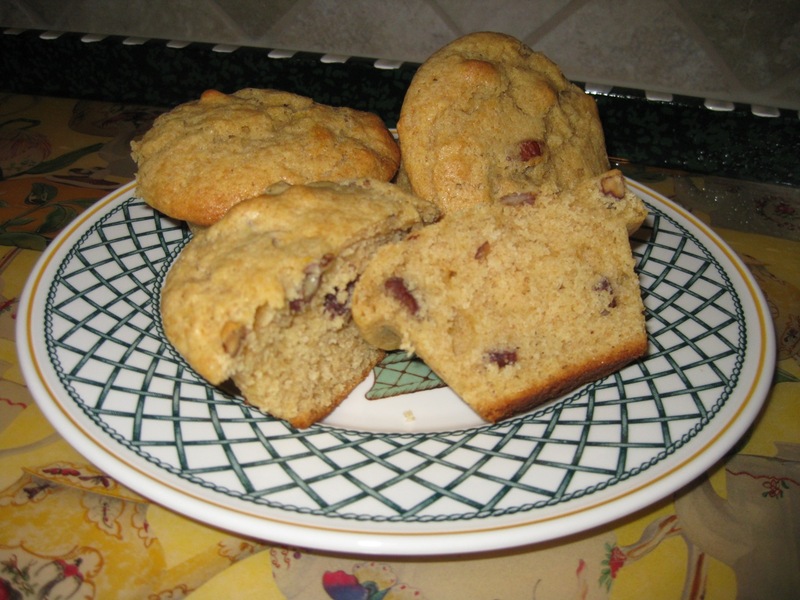 This is a new muffin recipe my mom tried, called Maple Muffins. My dad said these are very good and that “they’re a keeper”. I’ve never had a maple muffin, so these were a nice change to the typical blueberry or banana muffin we always make. The maple flavoring is just right… not too subtle, but not overbearing either; just perfect. You can serve these with jam, butter, MORE maple syrup, or my favorite…sweet honey. 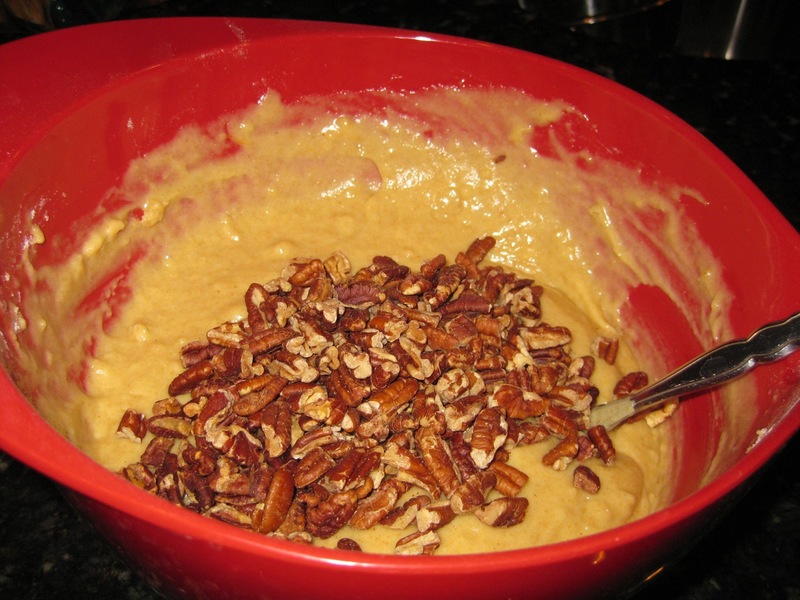 I love the crunch from the walnuts or pecans in these. These muffins are a great recipe for any breakfast brunch. 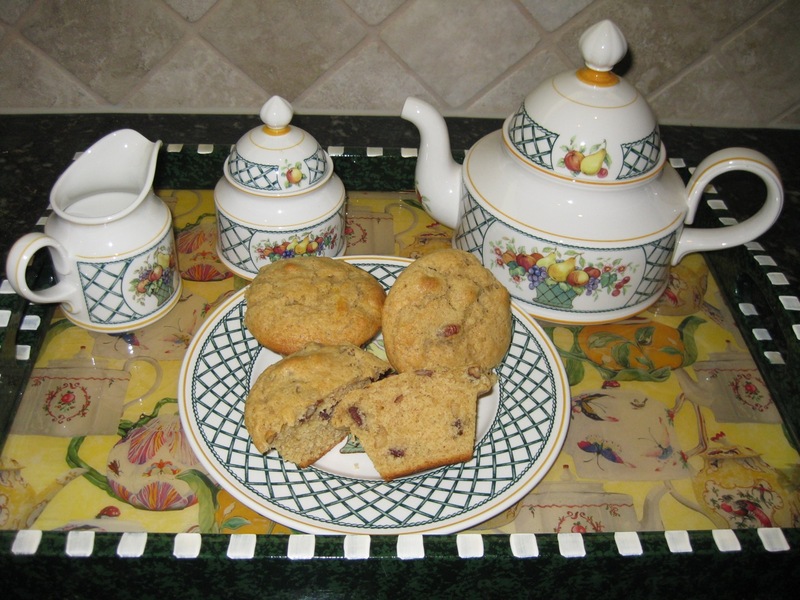 We got this recipe from Sarabeth Levine’s, Sarabeth’s Bakery: From My Hand to Yours cookbook. Levine writes, “This recipe was literally forced upon me by a customer who said her family had made these muffins for more than a hundred years. She promised they would be fantastic, and she was right! Their rich, bold maple flavor and crunchy tops are simply irresistible.” Enjoy!!! Whisk the unbleached flour, whole wheat flour, baking powder, and salt together in a medium bowl. Whisk the maple syrup, melted butter, and milk together in a another bowl. Then whisk in the egg and yolk. Stir in the walnuts (we used pecans). 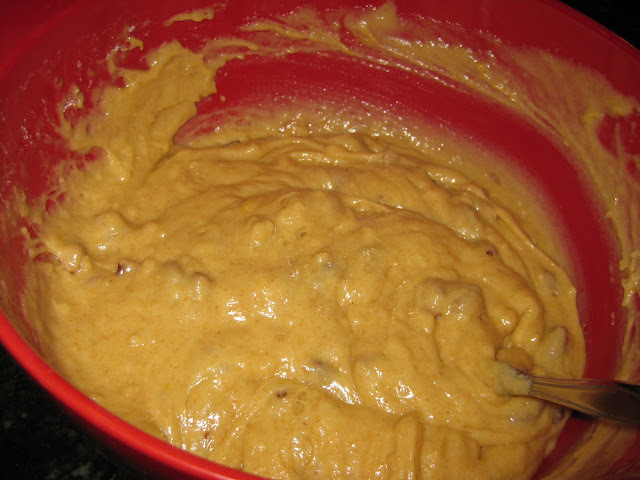 Let the batter stand about 5 minutes so the dry ingredients can absorb the liquids. Using an ice cream scoop, portion the batter into the prepared muffins cups. Bake for 10 minutes at 400 degrees F. Reduce oven temperature to 375 degrees F, and bake 15 minutes more, or until tops are golden brown and wire cake tester comes out clean. Cool in pan for 10 minutes. Remove from pan and cool completely. *Baker’s note: Grade B maple syrup refers to its color and flavor. It is darker and stronger than Grade A. It does not mean that grade B is inferior. 1. Position a rack in the center of the oven and preheat to 400 degrees F. Brush the insides of 12 muffin cups with softened butter, then brush the top of the pan. I used silicon pans and did not butter the pans. 2. 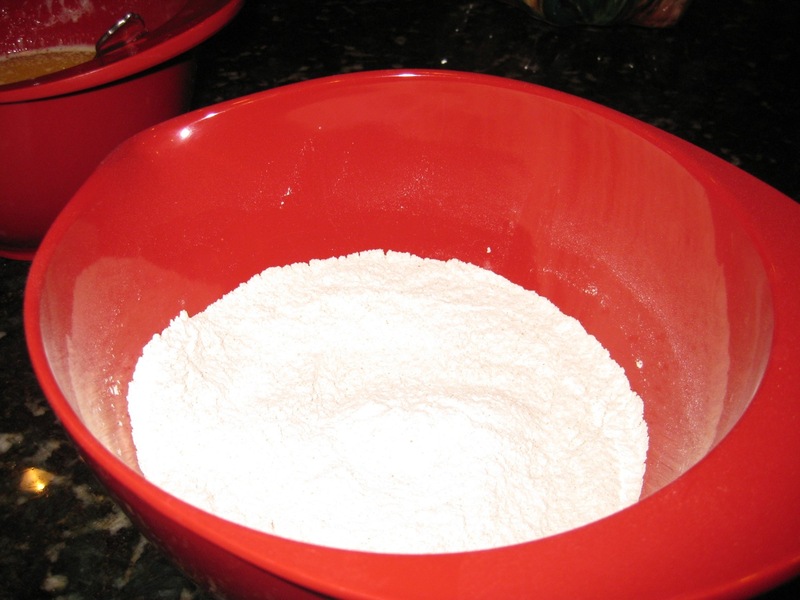 Whisk the unbleached flour, whole wheat flour, baking powder, and salt together in a medium bowl. 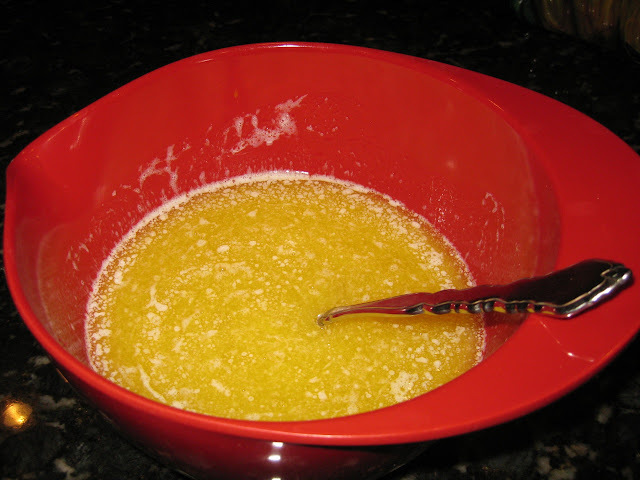 Whisk the maple syrup, melted butter, and milk together in another bowl, then whisk in the egg and yolk. Add the dry ingredients to the wet ingredients and stir until smooth. Stir in the walnuts. 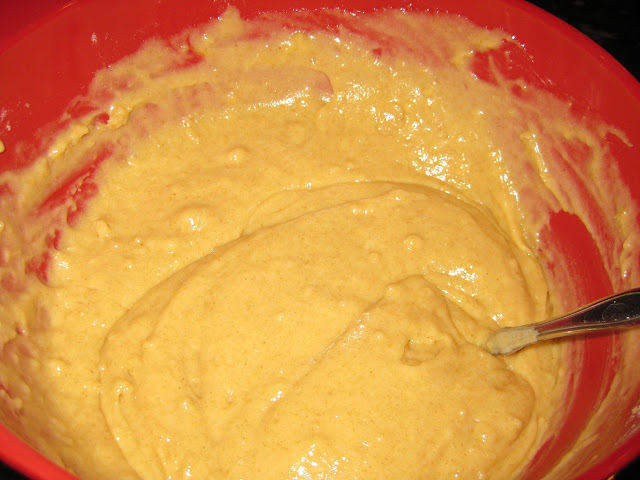 Let the batter stand so the dry ingredients can absorb the liquids, about 5 minutes. 3. 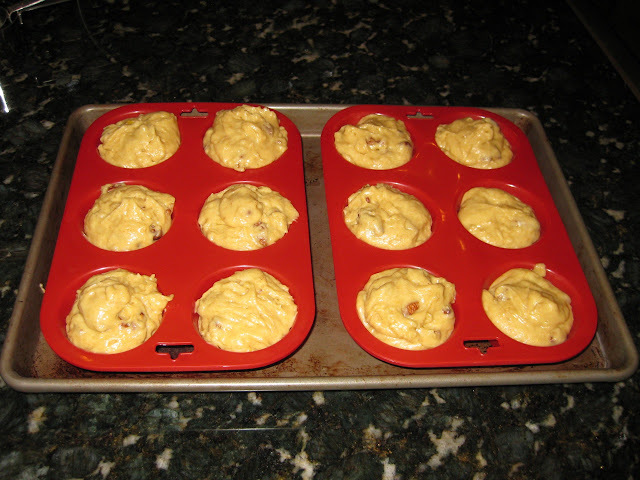 Using a 2 1/2-inch diameter ice-cream scoop, portion the batter, rounded side up, into the prepared muffins cups. 4. Bake for 10 minutes. Reduce the oven temperature to 375 degrees F and bake until the tops of the muffins are golden brown and a wire cake tester inserted into the center of a muffin comes out clean, about 15 minutes more. One Response to "Maple Muffins"
Just thought you’d like to know that I have made the Cocoa Brownies with Browned Butter FOUR times in the last 3 weeks for various occasions! Everybody loves them and they are even better the second day and stay moist and chewy!